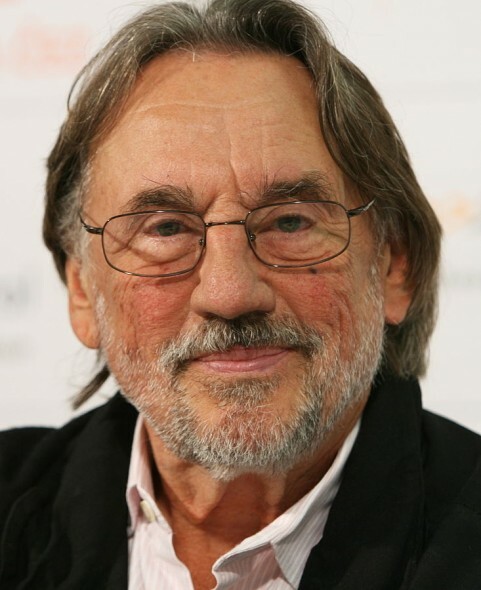 Academy Award winning director of photograhy, cinematographer Vilmos Zsigmond, is dead at age 85. Variety reports Mr. Zsigmond passed on January 1, 2016, according to his business partner, Yuri Neyman. While mostly working on feature films, Zsigmond shot 24 episodes of The Mindy Project TV series, starring Mindy Kaling, before FOX cancelled it after three seasons. Hulu revived the sitcom for a fourth season of 26 episodes, in 2015. Zsigmond’s other television work includes the 2001 TNT mini-series, The Mists of Avalon. He shot the second episode of The Bold Ones: The Protectors, a TV show cancelled by NBC after six episodes (not counting the pilot). Zsigmond also worked on various TV movies including Surrender Dorothy (2006), starring Diane Keaton, as well as Stalin (1992), starring Robert Duvall in the title role. Zsigmond won his Oscar as director of photography, for the classic sci-fi feature film, Close Encounters of the Third Kind (1977). According to Variety, he was also nominated for his work on The Deer Hunter (1978), The River (1984), and The Black Dahlia (2006). With a storied career, stretching back to the early 1950s, Zsigmond was still booking work at the time of his death. IMDb attaches Zsigmond’s name to four announced projects for 2016: Freedom Flight, At 2:15, Three Dog Night, and Love Affair. A fifth new film, Mediate This, is currently listed in pre-production. He was born in Cegled, Hungary, the son of a famous soccer player. After studying for four years at the Budapest Film School, he left his native land at age 26 after furtively filming the Russian invasion along with fellow student Laszlo Kovacs. They were detained at the Austrian border but then released, taking the footage with them, and it was later incorporated into his documentary “Hungary Aflame,” CBS’ 1961 documentary “Twentieth Century” and the 2009 documentary “No Subtitles Necessary: Laszlo and Vilmos,” which detailed the long relationship between the two lensers. For several years he worked as a still photographer and lab technician, assisting in the photography of 1962’s “Wild Guitar.” His first credit as cinematographer was on cult film “The Sadist” in 1963. For several years he worked on other exploitation films including “Incredibly Strange Creatures Who Stopped Living and Became Mixed-Up Zombies” along with Kovacs and other horror pics including “Horror of the Blood Monsters” and “Five Bloody Graves.” He also shot the low-budget comedies “Tales of a Salesman” (1965) and “The Monitors” (1969). Zsigmond was a member of the Board of Governors of the Academy of Motion Picture Arts and Sciences (cinematographers branch) beginning in 2007. For his outstanding work Zsigmond was honored with lifetime achievement awards from the ASC in 1999 and Poland’s cinematography-focused festival Cameraimage in 1997. Share your memories of Zsigmond and his work, below. More about: The Mindy Project, The Mindy Project: canceled or renewed? The Mindy Project: FOX Orders More Episodes; Why? The Mindy Project: New FOX Sitcom; Worth Watching? The Mindy Project: Quickly Cancelled or Big Hit?